Looking for a low carb salad packed full of flavor? 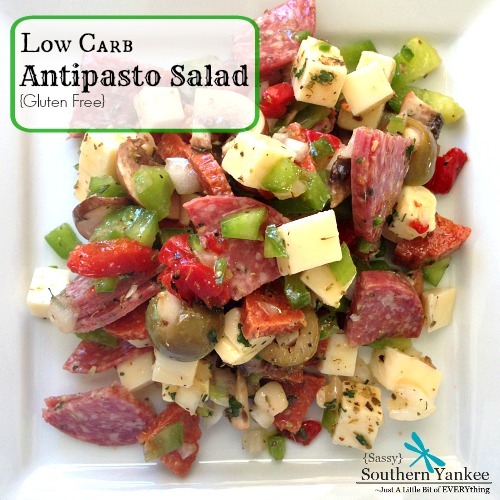 Well look no further because my Low Carb Antipasto Salad is going to knock your socks off! This salad is sure to please all of your taste buds and keep you feeling satisfied without all of the carbs. ***This is not a low fat salad. On a side note I was rear ended the other day and am looking for a new car. Any of my mommy/Daddy friends out there have a recommendation on a crossover/SUV that’s great for two (in the future) little ones, a boxer and will survive my Target and Costco shopping trip addictions? I had my last car for 10 years, so researching a replacement is terrifying! 1 Teaspoon Dried Parsley or 1/2 Cup Fresh if you have it. 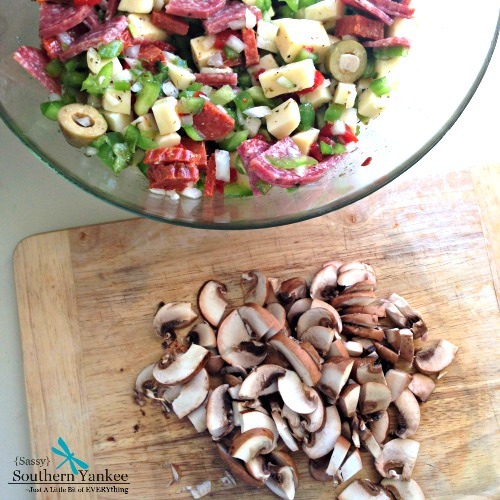 Prep is half the battle with this Low Carb Antipasto Salad, and with everyday life I feel. I like to make this salad on Sunday nights and put it into 1 cup containers to eat all week. In a large bowl add the Italian dressing, Oregano, Black Pepper. Next add the onion, jalapeño, roasted red pepper and green pepper. I like to let them swim in the Italian dressing to marinade a bit before everything else joins the party. Now drain the Olives and cut them in half adding them to the bowl. Then wash the mushrooms removing any dirt; then slice them as thin as you like and add them to the bowl. Next chop the cheese and meat into 1/4-1/2 inch cubes and add it to the bowl. ***If you have a Gluten allergy please make sure that the meats that you purchase are in fact “Gluten Free”. I like to add baby bella mushrooms too at the very end so they don’t get soggy but if you are not a mushroom fan feel free to omit them. Give everything one good toss and the Low Carb Antipasto Salad is done! The nice thing is this tastes amazing and it’s great for BBQ,s and Potlucks galore because you don’t have to worry about it spoiling. If you wanted to add a bit more greens you could serve it over some baby Spinach or Ice Burg. Looking for a low carb salad packed full of flavor? 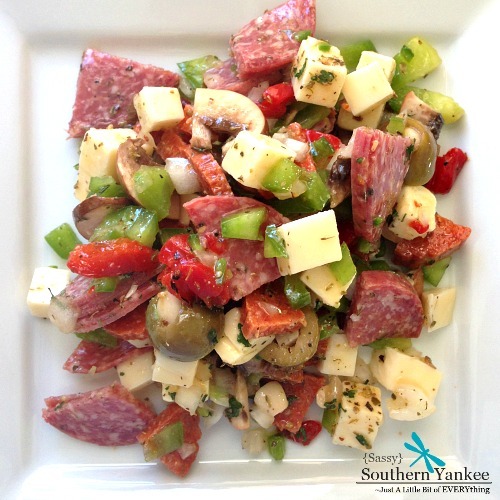 Well look no further because my Low Carb Antipasto Salad is going to knock your socks off! This salad is sure to please all of your taste buds and keep you feeling satisfied without all of the carbs. 1 Teaspoon Dried Parsley or ½ Cup Fresh if you have it. 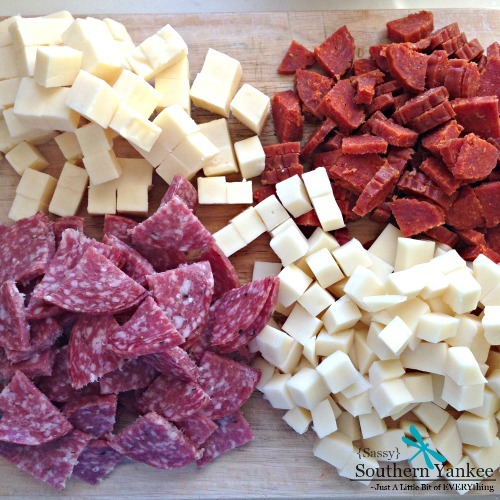 Next chop the cheese and meat into ¼-1/2 inch cubes and add it to the bowl. Give everything one good toss and the Low Carb Antipasto Salad is done! The nice thing is this tastes amazing and it's great for BBQ,s and Potlucks galore because you don't have to worry about it spoiling. If you wanted to add a bit more greens you could serve it over some baby Spinach or Ice Burg. 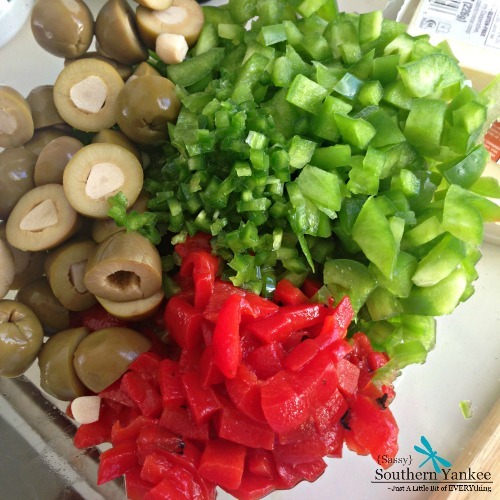 This entry was posted in Main Course, Salad and tagged Antipasta, Antipasto, Atkins, Back Yard BBQ, Gluten Free, High Fat, Italian, Low Carb, Low Carb Antipasto Salad, Make Ahead Side Dish, potluck, salad, Simple Sides, Summer Salads. To get started on the Leprechaun Potatoes you need to wash and peel the potatoes then cut them into 1/2 inch pieces. Place the potatoes into a pot and fill it with enough water to cover the potatoes; cook on medium heat until the water boils and the potatoes are fork tender. Once the potatoes are tender; drain the water and set the potatoes aside. The next step in making Leprechaun Potatoes is to wash the kale and remove the woody stem in the middle of each stalk. Next chop the kale into 1/2 -1 inch thick strips. In a large skillet add 1/2 stick of the butter, garlic and heat over medium heat; then add the kale to the pan cooking until tender. 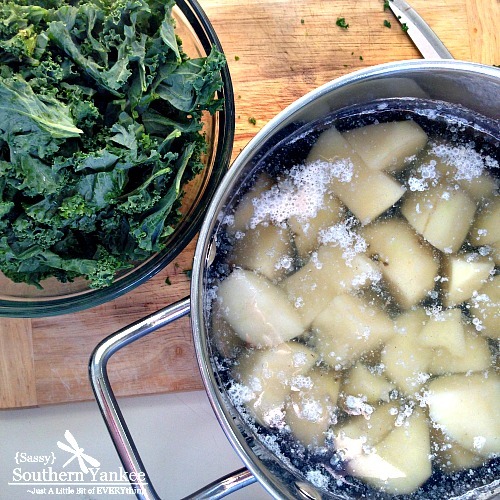 Once the kale is tender add the cooked potatoes and milk; then using a potato masher mash the potatoes and kale together. I like my Leprechaun Potatoes a little lumpy. 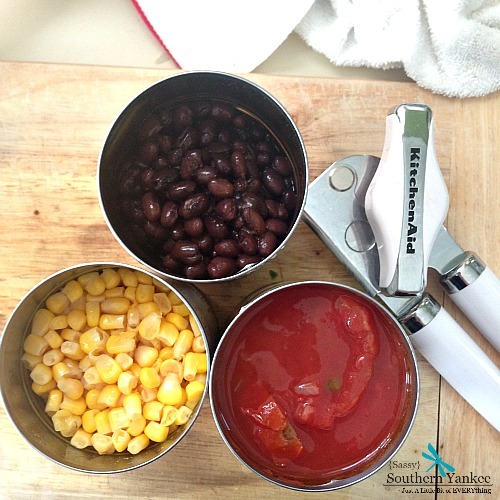 If you want smoother potatoes you can always use an electric mixer. Salt and pepper the Leprechaun Potatoes to taste and top with additional butter if desired. May the luck of the Irish be with you and your families! To get started on the Leprechaun Potatoes you need to wash and peel the potatoes then cut them into ½ inch pieces. Place the potatoes into a pot and fill it with enough water to cover the potatoes; cook on medium heat until the water boils and the potatoes are fork tender. The next step in making Leprechaun Potatoes is to wash the kale and remove the woody stem in the middle of each stalk. 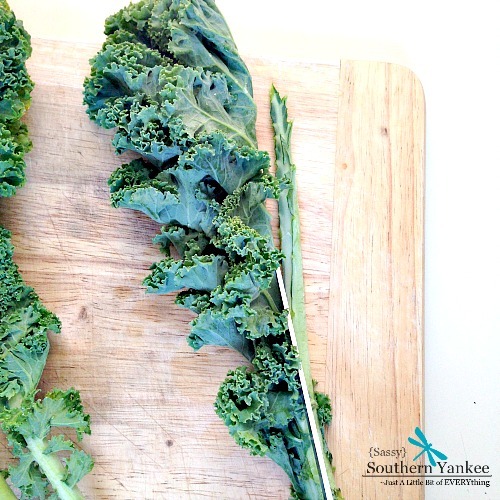 Next chop the kale into ½ -1 inch thick strips. 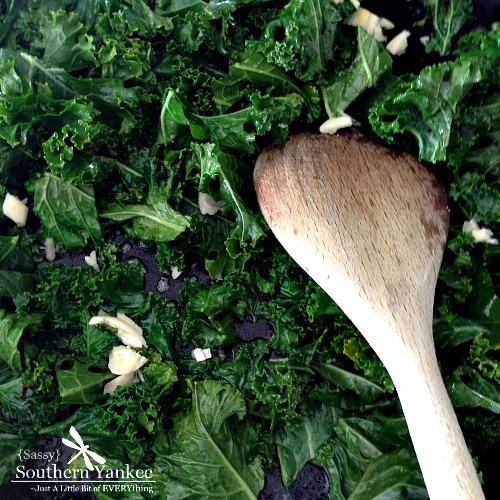 In a large skillet add ½ stick of the butter, garlic and heat over medium heat; then add the kale to the pan cooking until tender. 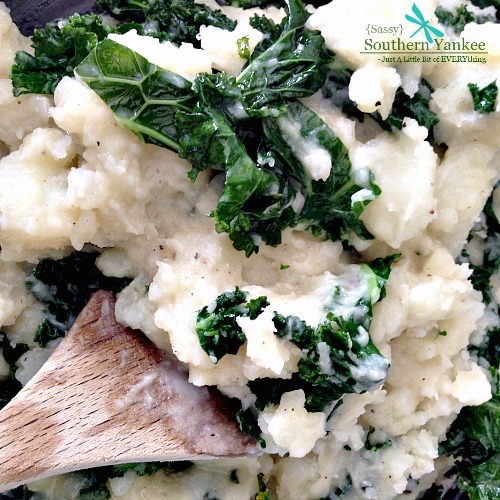 This entry was posted in Side Dish and tagged Easy Holiday Sides, Easy Sides, Gluten Free, Ireland, Irish, kale, Leprechaun, Luck of the Irish, Mashed Potatoes, Potatoes, Saint Patrick, St. Patty's Day, Tradition. These Rosemary Dijon Pork Chops are packed full of flavor, super juicy with the perfect caramelized outside. What’s not to love? I don’t know about you, but I am always looking for ways to make delicious quick meals and this one fits the bill. If you haven’t tried frying a pork chop in coconut oil you are missing out as this little trick leaves for a beautiful golden brown crust on the outside and a perfectly cooked juicy inside. If you don’t have coconut oil don’t fret a little butter does the trick in a pinch. 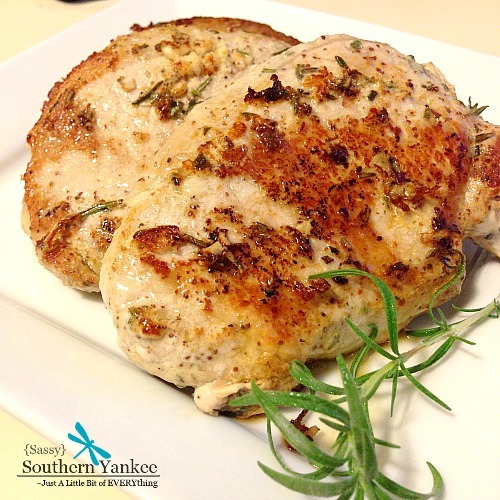 I hope you enjoy my new weeknight favorite Rosemary Dijon Pork Chops. 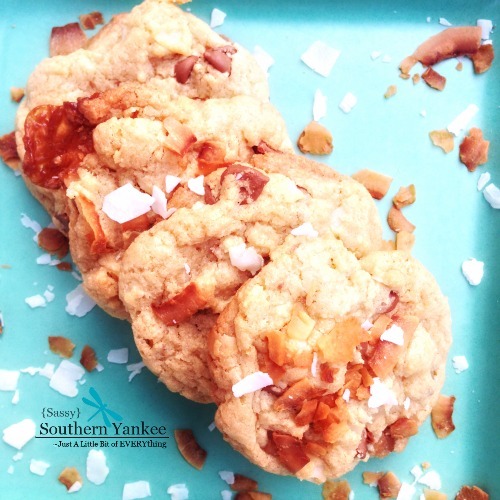 These are Whole 30 Approved if cooked with Coconut oil or EVVO. 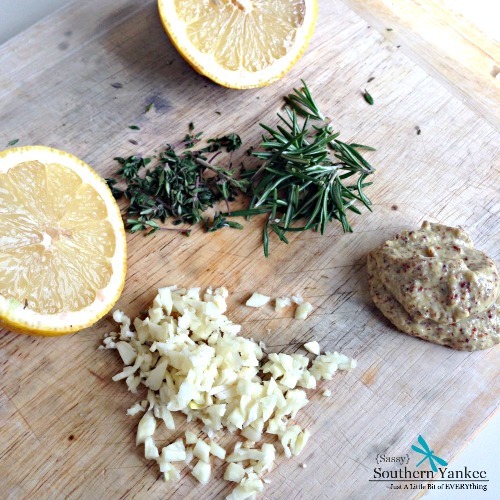 To prepare the marinade for the rosemary Dijon pork chops combine the Dijon mustard, juice of one lemon, olive oil, chopped rosemary, lemon thyme, garlic, salt and pepper in a resealable bag. look at your pork chops and if there is excess fat remove it using a knife. I bought my pork chops at Costco and they are about 2 inches thick. I cut them in half to be about 1 inch thick, so they cook quickly making for a juicier pork chop. 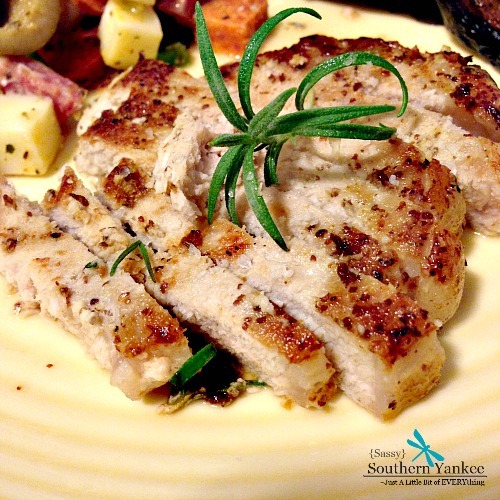 Once the pork chops are ready place them in the resealable bag with the rosemary Dijon marinade for at least 30 minutes. I usually start mine the night before to allow the flavors to really infuse into the meat. I love to use my cast iron pan when frying up the pork chops but you can use whatever pan you prefer. Preheat the pan over medium heat and just before adding the rosemary Dijon pork chops add the coconut oil and swirl it around. Place the pork chops into the pan spacing them out so they don’t touch (you might need to cook them in two batches depending on your pan). Cook the pork chops for 3-5 minutes then flip and cook for an additional 3-5 minutes (timing can vary depending on the pork chop thickness). The internal temperature of the pork chop should be 150*; then allow the pork chop to rest off of the heat for 10 minutes. Allowing the meat to rest will allow the pork chop to redistribute the juices. These Rosemary Dijon Pork Chops are packed full of flavor, super juicy with the perfect caramelized outside. What's not to love? I don't know about you but I am always looking for ways to make delicious quick meals and this one fits the bill. 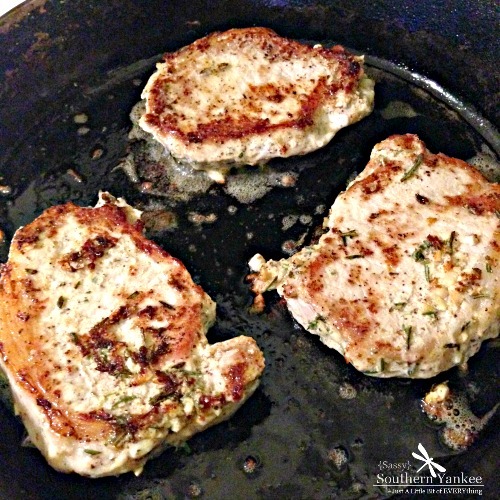 I love to use my cast iron pan when frying up the pork chops but you can use whatever pan you prefer. Preheat the pan over medium heat and just before adding the rosemary Dijon pork chops add the coconut oil and swirl it around. Place the pork chops into the pan spacing them out so they don't touch (you might need to cook them in two batches depending on your pan). This entry was posted in Main Course and tagged Clean Eating, Coconut Oil, Dijon, Juicy, Mustard, pan fried, Pork, Pork Chop, Rosemary, the other white meat, Week day meals, Weeknight Meals, Whole 30, Whole 30 Approved, Whole 30 Meals, Whole 30 Recipes. 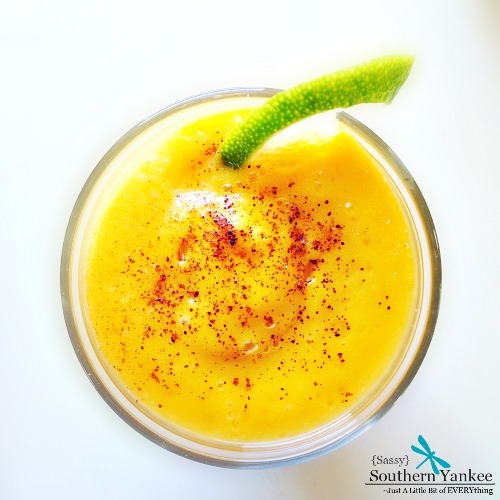 Sweet and Spicy; this Spicy Apple Mango Smoothie will put a pep in your step. Creamy avocado, sweet mango, spicy cayenne make this a winning combo. On a side note sorry I have been MIA for the last two weeks. January and Human Resources equal extra hours focused on W2’s and my new favorite thing the 1095 C form, thanks Affordable Health Care Act (said with heavy sarcasm 😉 ) Seriously January should be called Hug a Human Resources Person ♥ month or give them a bottle of wine! This Spicy Apple Mango Smoothie has been my go to on busy mornings because it’s delicious and easy to make! Prepare the ingredients for the Spicy Apple Mango Smoothie as listed above; then place in the Vitamix or whatever blender you have. I just bought a Vitamix and I think it’s my new favorite kitchen gadget! (non paid endorsement, just really love it) Blend the Spicy Apple Mango Smoothie on high for one minute. If the smoothie is too thick you can always thin it out with some additional water or ice. Depending on your tolerance for heat you might want to adjust the Cayenne Pepper. Keep in mind that the longer the smoothie sits with the Cayenne pepper the more “awake”/spicy it will be. I hope you enjoy this Spicy Apple Mango Smoothie as much as I do! Prepare the ingredients for the Spicy Apple Mango Smoothie as listed above; then place in the Vitamix or whatever blender you have. 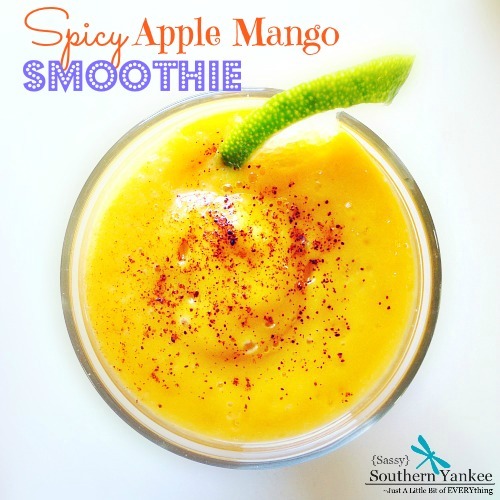 Blend the Spicy Apple Mango Smoothie on high for one minute. If the smoothie is too thick you can always thin it out with some additional water or ice. Depending on your tolerance for heat you might want to adjust the Cayenne Pepper. Keep in mind that the longer the smoothie sits with the Cayenne pepper the more "awake"/spicy it will be. I hope you enjoy this Spicy Apple Mango Smoothie as much as I do! *No payment was received from Vitamix I just really love their product. This entry was posted in Breakfast, Drinks and tagged Apple, Breakfast on the go, Clean Eating, Dairy Free, Drinks, easy, Gluten Free, Healthy, How to peel a Mango, Mango, quick, Smoothie, Spicy, Vitamix, Weight loss. Do you love Jalapeño Poppers as much as I do? 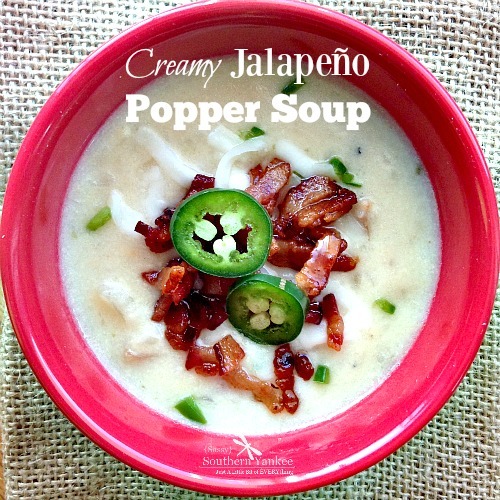 Well if you do this Jalapeño Popper Soup is for you! 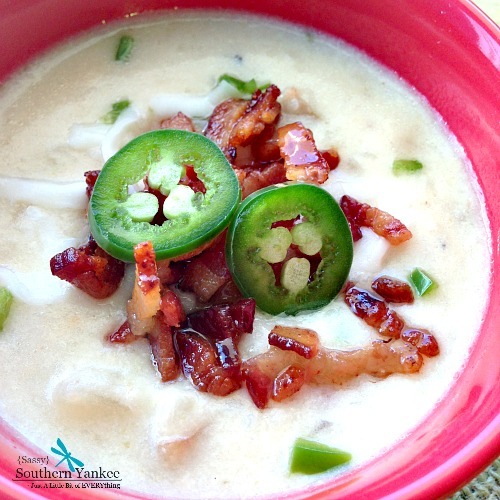 Creamy Potato soup with hints of heat from roasted Jalapeño’s and Crisp Bacon. Warm and cozy this Creamy Jalapeño Popper Soup in a Crockpot is the perfect addition to a snowy wintery day. You can add more bacon and roasted jalapeño’s to taste. I love to add a bit to the top just before serving. 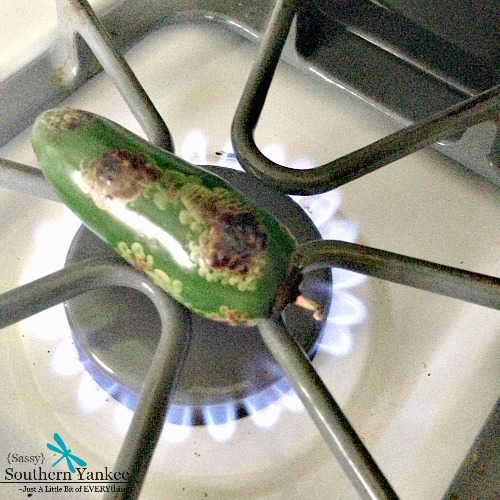 Over a gas stove roast a jalapeño over high flame until it’s blackened. Remove the jalapeño from the heat and using a paper towel rub the blackened skin off of the pepper. Slice the jalapeño in half and discard the seeds; then mince the jalapeño (set aside). In a large skillet cook the chopped bacon until it’s crisp; then set on a plate lined with paper towel to remove the excess grease. If you are like me you can cook the bacon, and jalapeño the night before, so you can just pop everything in the crockpot in the morning and let it cook all day. Next add the frozen hash browns, mustard powder, garlic powder, chicken stock, diced onions, cream cheese, 1/2 of the cooked bacon and 1/2 of the jalapeño. Cook the Jalapeño Popper Soup on low for 8 hours or high for 4 hours until the potato are soft and creamy. Serve the soup topped with the remaining crispy bacon and roasted jalapeños. Salt and pepper to taste. Creamy Potato soup with hints of heat from roasted Jalapeño's and Crisp Bacon. Warm and cozy this Creamy Jalapeño Popper Soup is the perfect addition to a snowy wintery day. Over a gas stove roast a jalapeño over high flame until it's blackened. Remove the jalapeño from the heat and using a paper towel rub the blackened skin off of the pepper. Slice the jalapeño in half and discard the seeds; then mince the jalapeño (set aside). In a large skillet cook the chopped bacon until it's crisp; then set on a plate lined with paper towel to remove the excess grease. Add the diced onions to the bacon grease in the skillet and cook until translucent and just starting to caramelize. Remove the cooked onions and toss them in the crock pot. If you are like me you can cook the bacon, onions and jalapeño the night before, so you can just pop everything in the crockpot in the morning and let it cook all day. Next add the frozen hash browns, mustard powder, garlic powder, chicken stock, cream cheese, ½ of the cooked bacon and ½ of the jalapeño. Cook the Jalapeño Popper Soup on low for 8 hours or high for 4 hours until the potato are soft and creamy. 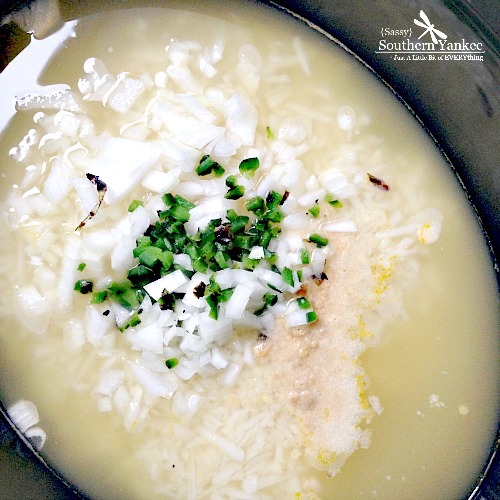 This entry was posted in Main Course, Side Dish, Soup and tagged Bacon, Creamy, Creamy Soups, Crispy Bacon, Crock Pot, crockpot, Gluten Free, Hearty Soups, jalapeño, Jalapeño Popper, Jalapeño Poppers, Popper, Poppers, slow-cooker, Soup, Winter Soups. Happy New Year!!! Can you believe that it’s already 2016? I can’t wait to see what this year brings and I’m so thankful that you have supported me these past years. I wish nothing but the best for you and your family in 2016! 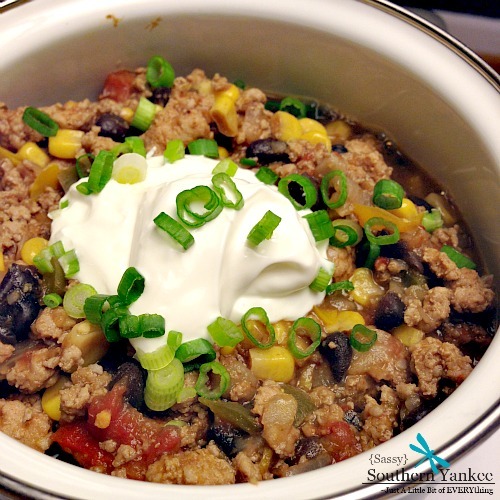 Now with that being said, this 15 Minute Taco Turkey Chili is only 7 ingredients away to being the perfect hearty meal that will fill you up and warm your soul. This is tasty and super easy to make plus it won’t hurt your waistline. It’s the perfect way to kick off your new year and your whole family will enjoy it! In a medium stock pot brown the turkey over medium heat using a spatula to break the ground turkey into pieces. Once the turkey is starting to break apart add the diced onion and continue to cook until the meat and onions start to caramelize about 5 minutes. By allowing the onions and turkey to caramelize it add depth and additional flavor. 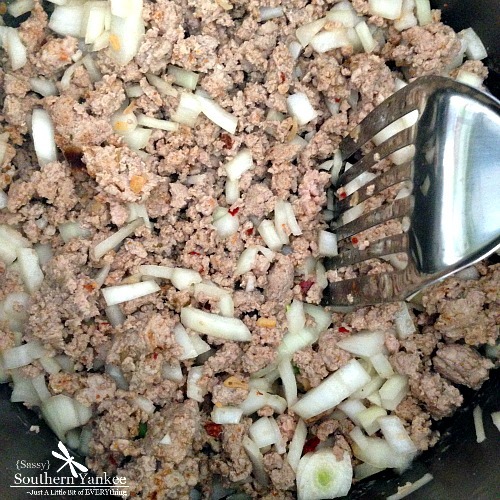 Once the turkey and onion is cooked add the Taco Seasoning, diced peppers, stewed tomatoes and black beans; stir everything together and continue to cook 5 minutes. I like my peppers a bit crunchy but if you want them softer you can add them at the same time you add the onions. Serve alone or you can garish with a bit of sour cream and scallions. I think the kiddos would even like some tortilla chips and cheese. ***Everything in the recipe is Gluten Free and if you omit the sour cream it’s dairy free too! 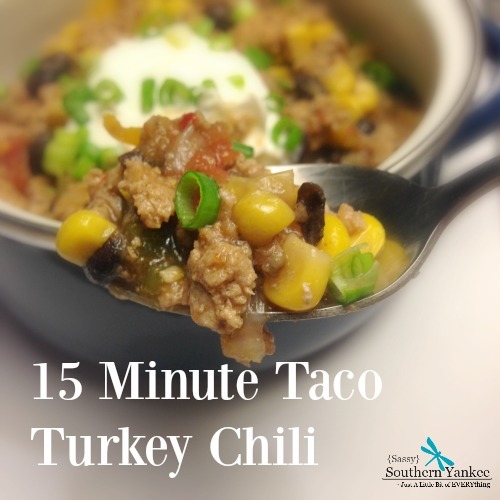 15 Minute Taco Turkey Chili is only 7 ingredients away to being the perfect hearty meal that will fill you up and warm your soul. This is tasty and super easy to make plus it won't hurt your waistline. It's the perfect way to kick off your new year and your whole family will enjoy it! Serve alone or you can garish with a bit of sour cream and scallions. I think the kiddos would even like some tortilla chips and cheese. 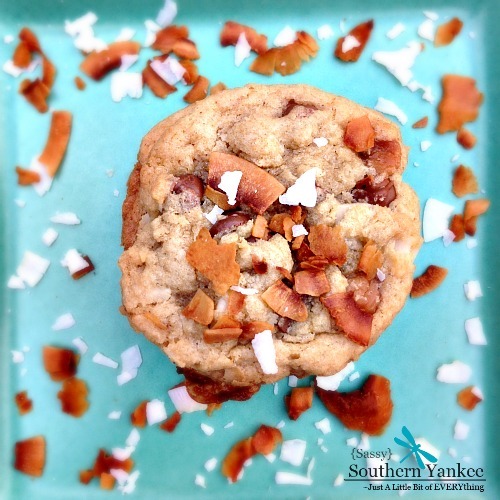 ***Everything in the recipe is Gluten Free and if you omit the sour cream it's dairy free too! 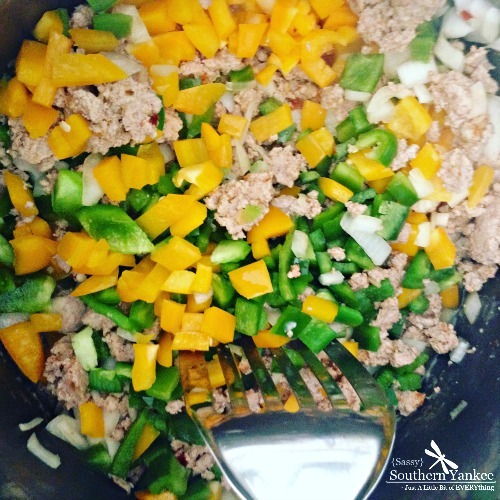 This entry was posted in Main Course, Soup and tagged 15 Minute Meals, Carb Cycling, Chili, Clean Eating, Dairy Free, Gluten Free, Happy New Year, Healthy Meals, Low Fat, Taco, Tailgating Foods, Turkey. You ever make something on a whim tossing a little bit of this, that and crossing your fingers its edible? 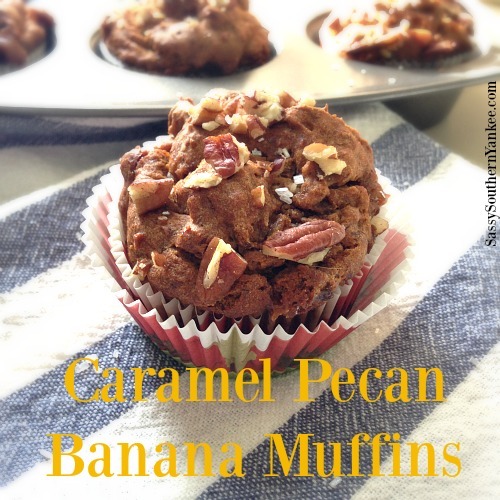 Well these Caramel Pecan Banana Muffins are exactly that! It was Thanksgiving morning and I kept starting at these three lonely brown bananas thinking I needed to S**T or get of the pot and throw them away. I hate wasting food, so with overly ripened bananas in hand I began my muffin making adventure. Ohhhhh boy am I glad I did! 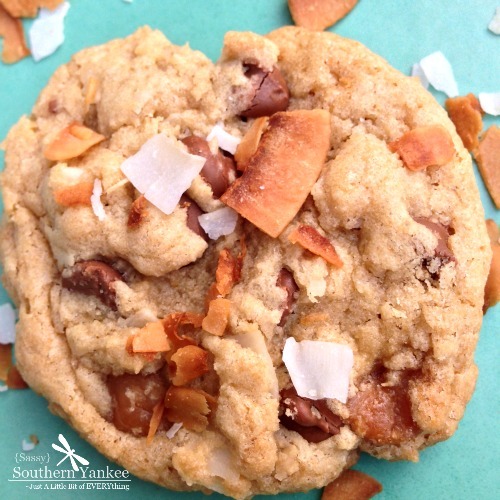 These are fluffy and tasty with the perfect amount of sweetness to satisfy your cravings. 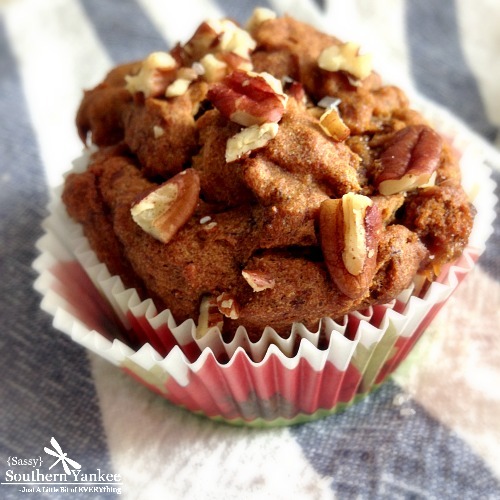 Yeah, these Caramel Pecan Banana Muffins are pretty amazing! Preheat the oven to 350* and prep your cupcake pan by placing a cupcake liner in each hole or spray your cupcake pan with non-stick spray if not using cupcake liners (then set aside to use later). Once the oven is preheated place the pecans on a baking sheet. Bake for 10 minutes or until fragrant. In a mixing bowl add the bananas, brown sugar and vanilla; using a whisk break up the banana’s until they are mostly smooth. Next add the baking soda, baking powder, salt and GF flour blend; whisk together until evenly combined and smooth. You might have a few lumps from the banana. Remove the nuts from the oven and chop them; then add the pecans and the caramel baking pieces to the batter. Pour the batter into each of the cupcake liners so that they are about 2/3 of the way full. Bake for 25 minutes or until golden brown and cooked through when inserting a toothpick. These are so good they don’t even need butter. 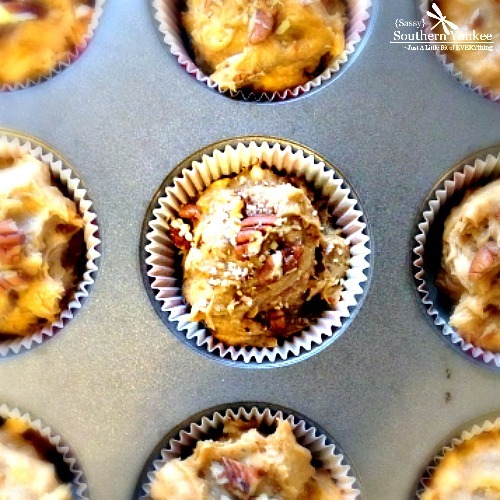 I hope you enjoy these Caramel Pecan Banana Muffins! In a mixing bowl add the bananas, brown sugar and vanilla; using a whisk break up the banana's until they are mostly smooth. Pour the batter into each of the cupcake liners so that they are about ⅔ of the way full. Bake for 25 minutes or until golden brown and cooked through when inserting a toothpick. These are so good they don't even need butter. 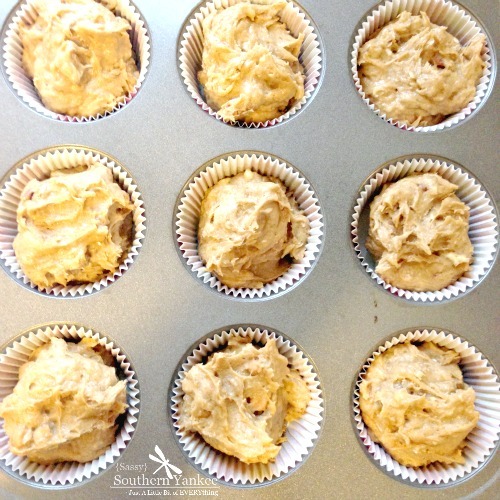 I hope you enjoy these Caramel Pecan Banana Muffins! 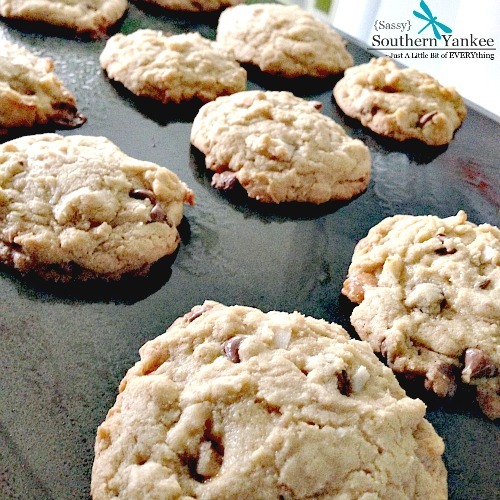 This entry was posted in Breakfast and tagged Banana, Banana Nut, Breakfast, Breakfast Muffins, Brunch, Busy Moms, Caramel, Gluten Free, Holiday Brunch, Muffin, Muffins, Pecan, Quick Breakfast, Recipes for busy moms, Ripe Bananas, Southern Living. I came across this recipe for rolls from Free Eats and couldn’t wait to try it! Her promise of soft rich rolls that were allergy friendly had me swooning. I made a few slight modifications to tailor them to my holiday feast. 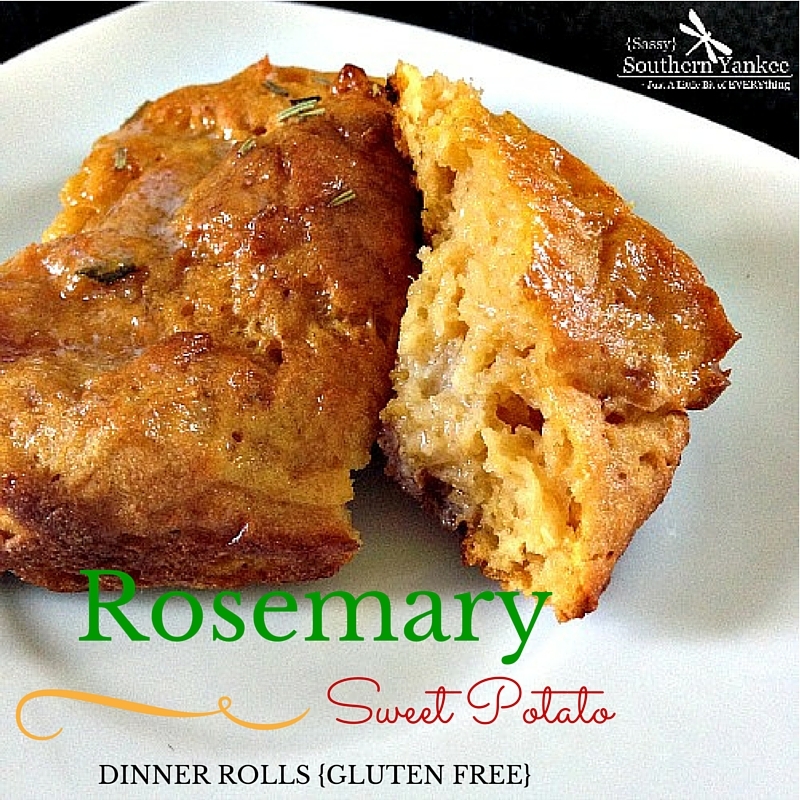 These Rosemary Sweet Potato Dinner Rolls are sure to delight your tastebuds! Hint’s of sweetness from honey and apple cider pairs perfectly with the sweet potato and fresh Rosemary. These are super easy to make and your whole family will love them. They also are perfect for those leftover ham and turkey sandwiches. In a measuring cup or small bowl dissolve the water, active dry yeast and honey; then allow the mixture to “wake up” about 5 minutes. This also tests the yeast to ensure it’s still good. If it’s not looking like a bubbling mess; then it’s bad yeast. Those beautiful bubbles are what’s going to give your Rosemary Sweet Potato Dinner Rolls the light and fluffy texture. Using a stand up mixer combine the mashed sweet potato, rosemary, eggs, apple cider and oil; blend until smooth. Next add the salt, and GF Flour Blend and the yeast mixture. Blend on medium until combined. Using a measuring cup measure about 1/3 Cup of the dough for each roll. Place the dough in a pan with non-stick spray. I used a round cake pan but you can use whatever pan you like. Spray the tops of the rolls with non-stick spray then cover the pan with plastic wrap. Allow the rolls to rise in a warm place for about 1 hour until double in size. Uncover the rolls and coat with a bit of beaten egg wash to help with the browning. Bake the Rosemary Sweet Potato Dinner Rolls in a *375 degree oven for 25-30 minutes until the rolls are puffed up and cooked through. 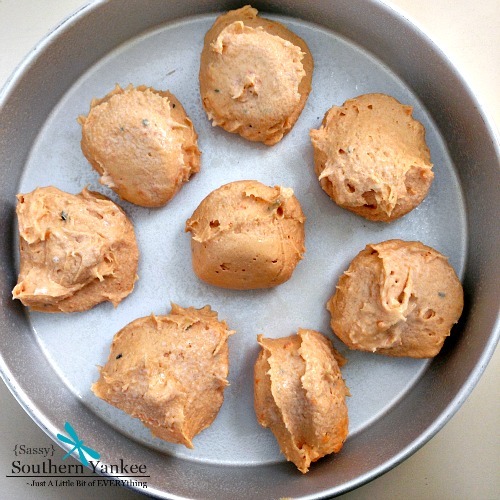 Rosemary Sweet Potato Dinner Rolls are sure to delight your tastebuds! Hint's of sweetness from honey and apple cider pairs perfectly with the sweet potato and Fresh Rosemary. In a measuring cup or small bowl dissolve the water, active dry yeast and honey; then allow the mixture to "wake up" about 5 minutes. This also tests the yeast to ensure it's still good. If it's not looking like a bubbling mess; then it's bad yeast. Those beautiful bubbles are what's going to give your bread the light and fluffy texture. 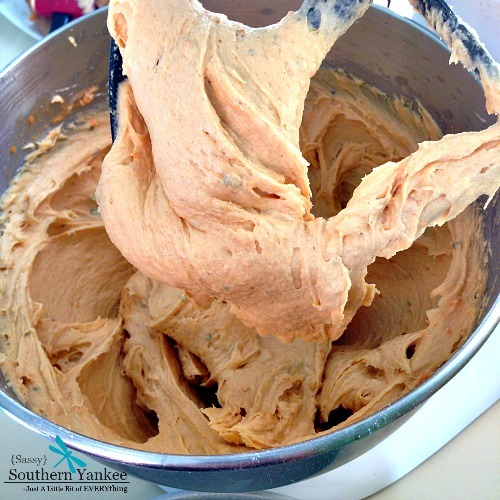 Using a stand up mixer combine the mashed sweet potato, eggs, apple cider and oil; blend until smooth. Next add the salt, Fresh Rosemary, GF Flour Blend and the yeast mixture. Blend on medium until combined. 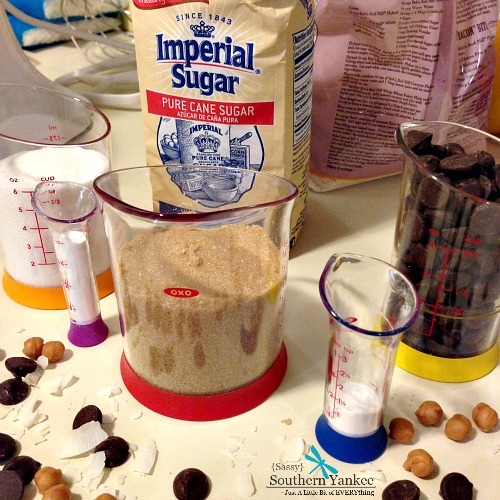 Using a measuring cup measure about ⅓ Cup of the dough for each roll. Place the dough in a pan with non-stick spray. I used a round cake pan but you can use whatever pan you like. Spray the tops of the rolls with non-stick spray then cover the pan with plastic wrap. Allow the rolls to rise in a warm place for about 1 hour until double in size. Uncover the rolls and coat with a bit of beaten egg wash to help with the browning. Bake in a *375 degree oven for 25-30 minutes until the rolls are puffed up and cooked through. 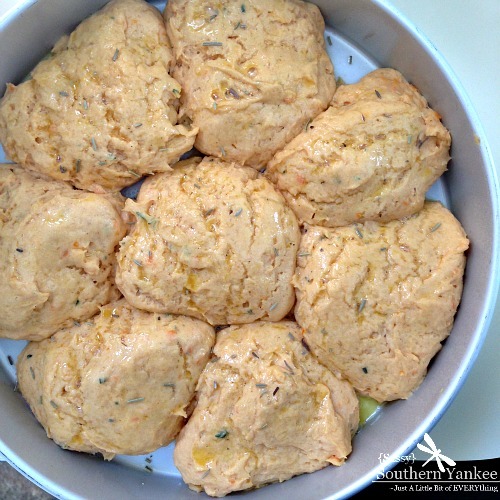 This entry was posted in Breakfast, Side Dish and tagged allergy friendly, Bread, Christmas, Dairy Free, Dinner Rolls, Gluten Free, Pull-Apart, Rolls, Rosemary, Sweet Potato, Thanksgiving. Well this dish isn’t going to win any awards for looks, but FLAVOR you betcha! Sweet and savory this is the perfect fall meal. Roasted Brats with Caramelized Rosemary Pears is a quick, and easy weeknight go to meal. I found this recipe on the back of the Costco brand Bratwurst a few months ago, and couldn’t wait to try it once there was a crispness in the air. 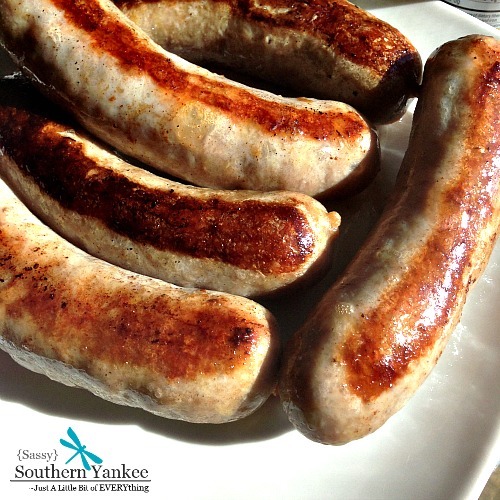 In a large skillet or on the BBQ cook the Bratwurst until golden brown and cooked through. Set aside on a plate to allow the juices to redistribute. After the Bratwursts are done use the same pan and add the butter and sliced pears. You can use whatever pears you prefer. Core and slice the pears. I would recommend them being slightly firm as they are easier to slice. I used a mandolin, but you can easily use a knife. 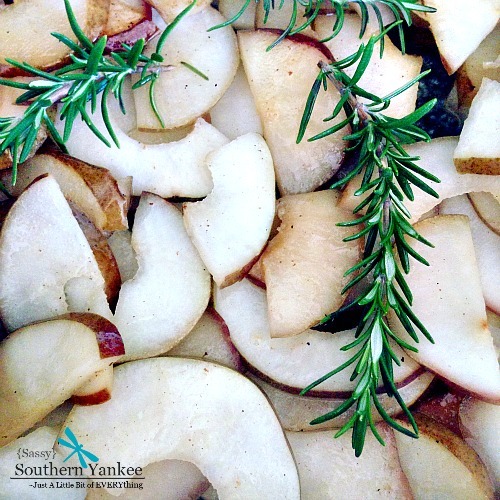 Sauté the pears and butter for about 10 minutes; then add the fresh rosemary sprigs cooking an additional 5- 10 minutes until caramelized. While the pears are finishing up slice the bratwurst diagonally into 5 pieces each; then add the brats and maple syrup into the pan with the pears. Cook an additional minute to allow all the flavors to blend together. 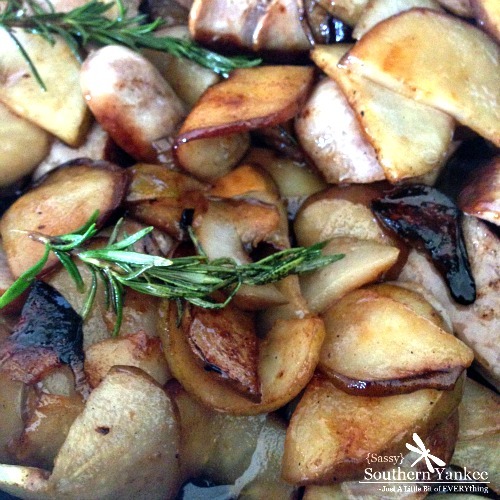 Salt to taste, and voila you have a simple meal of Roasted Brats with Caramelized Rosemary Pears! Well this dish isn't going to win any awards for looks, but FLAVOR you betcha! Sweet and savory this is the perfect fall meal. Roasted Brats with Caramelized Rosemary Pears is a quick, and easy weeknight go to meal. I found this recipe on the back of the Costco brand Bratwurst a few months ago, and couldn't wait to try it once there was a crispness in the air. This entry was posted in Main Course and tagged 5 Ingredient Meals, Brats, Bratwursts, Busy Moms, Caramelized, Carmel, Costco, Dairy Free, Fall Meals, Fresh, Gluten Free, Maple, Maple Syrup, One Pan Meals, Paleo, Pear, Pears, Quick Meals, Rosemary, Weeknight Meals.